Hey everyone! We’re just days away from the first International Championships and I could not be more excited. I had no plans to attend until about two weeks ago when I found a very cheap flight and I jumped at the opportunity. I’ve never left the country, barring a few short trips to Ontario, Canada, so this will be an awesome adventure for me. I’m excited to meet some European players I’ve talked with online but never had the chance to meet in person, as well as try to bring home a big win for the USA! Luckily, the format for the London International Championships will be the same as the one used for Fort Wayne (PRC–EVO) so we won’t have to scramble too much to prepare. There are a lot of decks that you can expect to see though so it’s hard to choose which one will do best. I’ll run you through some decks that I think have a good chance at a deep run in London and why you might want to play them. Let’s get started. The first deck I want to cover today is Rayquaza. The deck has a handful of unfavorable matchups in the format, most notably Yveltal/Garbodor. This is due to the oppressiveness of Fright Night, as well as the combination of N, Parallel City, and Garbodor shutting you out of many games. 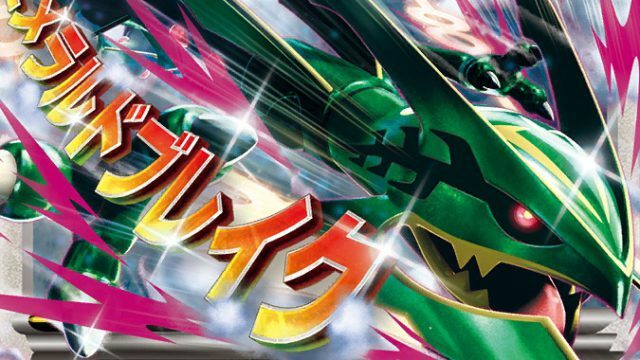 Rayquaza also struggles with most other Garbodor decks in the format, is unfavorable against M Scizor, and has only an even matchup with Volcanion. This list is pretty standard but there are a lot of nuances in building Rayquaza right now. With the new Raikou/Electrode and Pidgeot/Jolteon/Garbodor decks popping up recently, I currently favor the Dragon-type Basic Rayquaza-EX. Taking less damage in the early turns could be crucial to staying in the game. I do think that each of these matchups is winnable, and the 2nd copy of Hex Maniac really helps to limit the Energy acceleration in the Raikou deck. I also like the 2nd Hex against Greninja, a matchup that is quickly turning from favorable/even to unfavorable as Greninja players more often include 4 Faded Town and 4 Splash Energy. 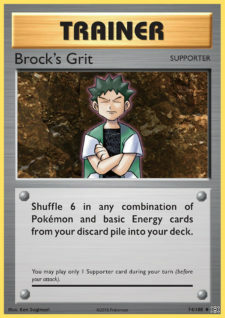 In this deck, I like Brock’s Grit as my recovery option instead of Karen. In other decks, Karen can be a soft counter to Vespiquen while also helping you recover. The best way to play Vespiquen in my opinion is with Zebstrika, so a Rayquaza deck won’t have much of a chance, even with a Karen. 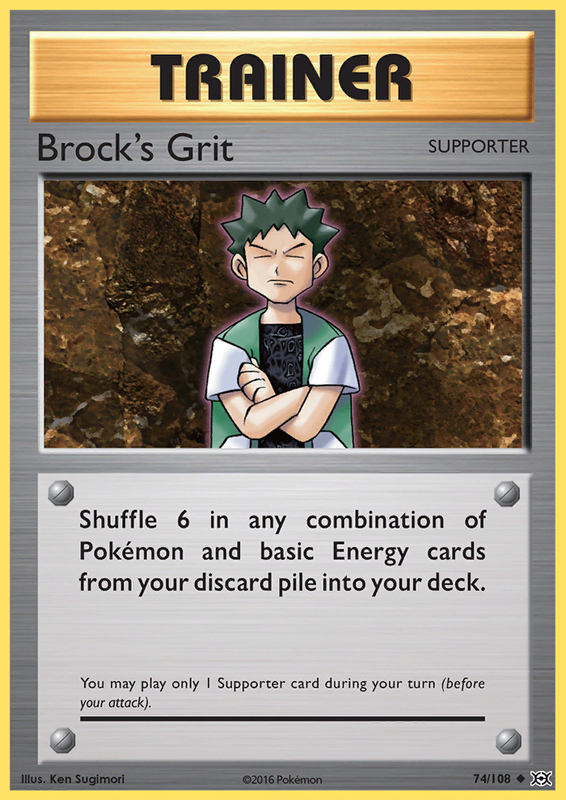 And with only 4 basic Energy and no Super Rod, Brock’s Grit really pulls its weight. Magearna-EX and Rattata are included as good ways to cover all of your bases. 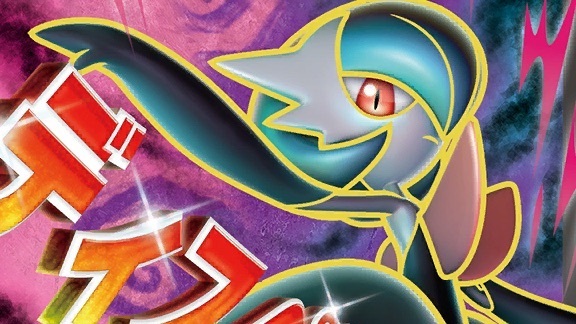 As M Scizor decks gain popularity following two Top 16 finishes in Fort Wayne, being able to keep your DCE attached can mean all the difference in the Prize trade. Although Garbodor will shut down Magearna-EX’s Ability, I don’t think Garbodor is needed in the deck and expect many players to cut it. Rattata can get rid of Bursting Balloon and Fighting Fury Belt, either keeping you alive longer or making it easier to achieve knockouts on bulky Pokémon-EX. The addition of the new Dragonite-EX also helps to get the optimal use out of these tech Pokémon. Rayquaza could be played with Fairy Energy as the basic Energy of choice, as well as a Diancie-EX FCO instead of the Magearna cards. Diancie is a pretty annoying Pokémon for Yveltal decks to deal with. When it’s Active, it causes Pitch-Black Spear to deal only 10 to the Active Diancie and 30 to the Benched EX of choice. This is the best way for the deck to deal with Yveltal in the early game but it makes the Scizor, Gardevoir, and Vileplume matchups slightly worse. If you want to try that version out, I would suggest dropping Magearna and Magearna-EX for 2 Diancie-EX and substituting a Lysandre for a Switch/Escape Rope/Float Stone to help get Diancie into or out of the Active position. Gardevoir is a deck that was thought to be a top choice of many players going into Fort Wayne. In fact, it was so popular in some testing circles that decks like Pidgeot/Garbodor popped up with the primary goal of winning the matchup. Other decks like Scizor saw more play than predicted in Fort Wayne, likely due to the expectation that Gardevoir would be played in high numbers. Hawlucha is my favorite card in this list, an often overlooked option for this deck. It has a lot of utility in this format, letting you play around Regice, Glaceon, Bursting Balloon, or other things you don’t want to/can’t attack into. It can also stop your opponent from making you play the 7-Prize game. While Lysandre can also do the same thing, the ability to recycle Hawlucha with Dragonite or Buddy-Buddy Rescue while also using another Supporter for the turn is invaluable. The Trainer line highlights my normal mentality when building a deck; be prepared for everything. 2 copies of Hex really help in the Greninja matchup, although I find the Greninja lists with 4 Splash Energy and 4 Faded Town to still be very hard to beat. Pokémon Ranger gives you outs against both Vileplume and the Glaceon/Regice lock deck that was played at Dortmund. I play Karen over Brock’s Grit because I often find the difference to be negligible and it gives you a chance against any Vespiquen/Zebstrika decks that could pop up to counter Yveltal/Garbodor. The high count of Mega Turbo provides a way to come back from bad starts, and Super Rod helps you get back Energy in a pinch, which is necessary because of the choice of Karen over Brock’s Grit. Speaking of list options, Gardevoir has a lot of flex space in the typical list and a lot of tech cards that can be used. A 4th Gardevoir-EX could reduce your reliance on recovery cards and also gives you a better chance to have a preferred starter. Spinda PRC could be included to essentially auto-win the Gyarados matchup. Switch could be used in place of or addition to Escape Rope, especially if you find yourself using Hawlucha a lot. Fairy Drop is a great option to play more defensively and win a back-and-forth 2HKO war. Parallel City can give you a chance to win the Rayquaza or Rainbow Road matchups, especially when combined with N or Hex Maniac. If you’re looking for space for techs starting with my list, my recommendations for cuts would be Absol, Pokémon Ranger, or the 2nd N.
Gardevoir’s place in the metagame is highly contested right now. In particular, the matchup against Yveltal/Garb has been argued as heavily favorable for both sides. Both Andrew Mahone and Jimmy Pendarvis, the top 2 finishers in Fort Wayne, told me that Yveltal wins fairly easily. However, Mees Brenninkmeijer claims that Gardevoir should easily win when it sets up. There are some major list and playstyle differences that could account for that, such as the inclusion of Fairy Drop or the willingness to discard a damaged M Gardevoir with Despair Ray to make it harder for the Yveltal player to take Prizes. Other matchups such as Rayquaza, Rainbow Road, and Volcanion can be really difficult to win, leading most players to write Gardevoir off. Although it was seen as a top contender going into Fort Wayne, it wasn’t very successful there. Players could be unprepared for Gardevoir in London and it could ride a wave of favorable matchups to a strong finish. It’s not my favorite deck in the format but I expect at least a few players to do pretty well with it. The Blue Beret descending upon London. Greninja is easily my top choice for this weekend’s event. After playing the deck in Fort Wayne, I am enamored with it. Basically every matchup is 50/50 or better and it runs like a dream. My teammate Chris Derocher piloted the list (as seen here covered by Christopher Schemanske) to 3rd place without dropping a set through 14 Swiss rounds. Although myself and Christopher both fell short of Day 2 with 6-3 records, we left the event feeling confident in the deck. Only a few key moments were the difference between 6-3 and 7-2 — or even better! Look, I know what you’re thinking. Team Flare Grunt and Enhanced Hammer are not cards you see every day in Greninja lists (if ever). However, I’ve found them to be super useful against Yveltal. Between Jirachi and Enhanced Hammer, it’s relatively easy to neuter a Yveltal-EX in a single turn. 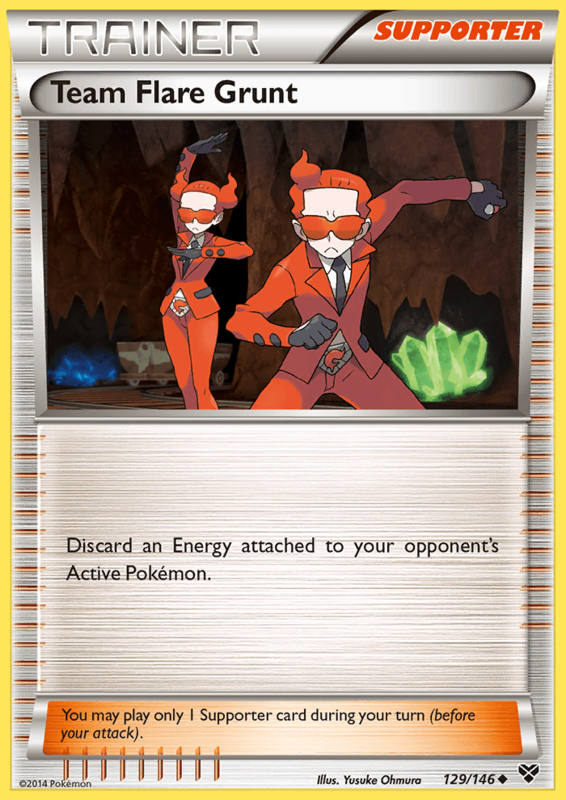 Team Flare Grunt gives you another option for Energy denial, but being reusable is incredibly helpful. My favorite use of the card is to knock off the last Energy from a Yveltal-EX if your opponent is using Y Cyclone to preserve their Energy cards, especially when they’re afraid of your Jirachi. Stopping them from attacking for just a single turn can make all the difference in the matchup. The other addition to the list is the 3rd Ultra Ball. It’s incredibly important to find 2 Greninja on your 3rd turn against decks like Yveltal/Garbodor, as you need to guarantee that one can evolve to a Greninja BREAK on turn 4. Once you have a Pokémon with 170 HP, you have a much better chance to survive an Evil Ball. Unfortunately, these new additions come at the expense of Trainers’ Mail. Most Greninja lists aren’t playing any Trainers’ Mail anyways, but I’ve found it nice to dig for Professor’s Letter, Faded Town, Bursting Balloon, and anything else at key moments of the game. However, I haven’t noticed a drop in consistency since making the switch so I’m not too concerned. There are several other cards that I’m considering as well. The Team Flare Grunt could become another Ace Trainer, another Enhanced Hammer, or a Delinquent. Ace Trainer is unbelievably good in a deck like this. Most of the time, all you care about is stopping your opponent from playing a constant stream of Hex Maniac or Lysandre. Dropping them down to 3 cards while drawing 6 yourself usually ensures that you keep your setup while they struggle to attack and disrupt you at the same time. When paired with Shadow Stitching, many decks fold to the constant hand disruption. Enhanced Hammer has been amazing in my testing as most decks in the format play Special Energy right now. If your opponent isn’t attacking, you don’t really care what they’re doing. Delinquent is an interesting option that was recommended to me by Enrique Avila (and by extension, Cody Walinski). The idea is similar to Ace Trainer where you try to limit their options. 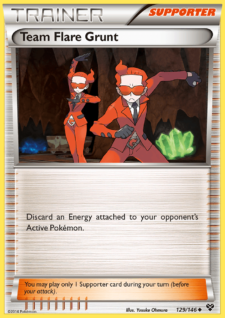 If you discard part of their hand, they probably won’t be able to Lysandre around your Bursting Balloon/Splash Energy, attach an Energy card, and also have draw power for the next turn. By using Delinquent after an N or Ace Trainer, you can potentially catch your opponent off guard and discard their whole hand. I’m already playing 4 Stadiums (and they’re effectively useless in several matchups) so Delinquent fits easily into the deck. It also has the added bonus of getting rid of my opponent’s Parallel City when needed. The 3rd Ultra Ball that I added is also a spot that is up for grabs. I’m contemplating switching it out for a Level Ball, just to more easily find Froakie and Frogadier in the early game without having to discard potentially valuable resources. Of the 7 games I lost in Fort Wayne, 4 were at least partially due to me missing the T2 Water Duplicates. I definitely want to maximize my chances to hit it however I can. I’ve even thought about dedicating this slot to a 7th basic Water but that’s overkill. Too many Energy will clog up your hand in the late game. How good was the 4 Splash Energy? Did you ever have one in hand and wish it was a basic Water Energy instead? I can’t understate how much the Splash Energy holds this deck together. Being able to constantly recycle your Pokémon lines keeps your damage output consistent and forces your opponent into bad situations. You can often guarantee that you have a Greninja or a Greninja BREAK on the board at all times. Your opponent will have to choose to either KO the Pokémon with a Splash Energy — allowing you to evolve the rest of your board — or Lysandre around the Pokémon with Splash Energy so it stays alive. It just makes the deck flow so much better and I wouldn’t play the deck with any less than 3 Splash right now. I never got into the awkward situation of having only a Splash when I really needed a Water to Giant Water Shuriken. Basically, the deck is built to not really need to use Abilities at all. We knew Garbodor was a problem and figured that consistent damage output from extremely high-HP 1-Prize attackers would be a good way to combat it. Being able to use Giant Water Shuriken was usually just a luxury, a way to end games faster. Some matchups like Rainbow Road are won because you have access to Giant Water Shuriken, but usually you don’t truly need it to win games. Why didn’t you play any outs to deal with Garbodor? Beedrill-EX and Greninja XY162 are the most common and really the only good options, but neither of them fit in the deck well. As Christopher mentioned, the deck has so few starters and Beedrill-EX would be a terrible one. It gives your opponent a chance to close out games that you otherwise would have won, and it can put you in a deficit that you can’t come back from. It definitely has some nice uses like getting rid of Fury Belts on Yveltal-EX that have retreated to the Bench with 180 damage on them to take some easy KOs, but we thought the risks outweighed the rewards. The promo Greninja is left out of the list basically because it’s almost always inferior to Greninja BKP. Both Shadow Stitching and Moonlight Slash are amazing attacks, either for Ability lock or stronger damage output and Energy conservation. Plus, Greninja BKP has free retreat, an incredibly valuable and overlooked trait. 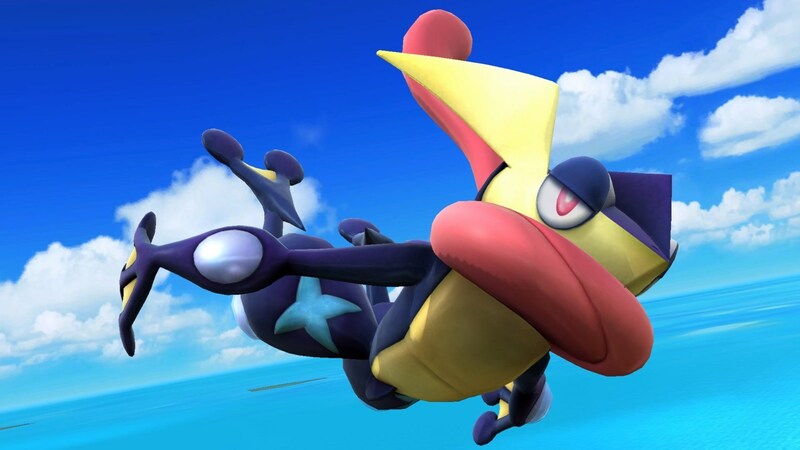 If you drew into the promo Greninja when you wanted Greninja BKP, you could lose a game just because of that. Also, with 2 Greninja BKP in the discard and 1 prized, you are basically out of damage output for the rest of the game. The worst part is that you have to devote 2 whole turns to KO’ing a Garbodor while your opponent could take 2 Prizes in that time and put you too far behind to come back. The option to spread 20 could be useful in some scenarios, but we liked the stability of 4 Greninja BKP. Have you considered Eco Arm? In a word, no. This is probably a fallacy in the way we craft our lists. Eco Arm just seems like a mediocre card and I’m not sure if I can see myself seriously playing it other than in a deck that completely relies on Tools like Entei AOR 15. However, past that, I can see the merits for Eco Arm. Its most realistic use is to recover in a game where you have to discard/waste 2–3 Bursting Balloon in the first turn or two. They are really a large part of your gameplan, especially under Ability lock, because your damage output is kind of miserable. However, in a game where you get good use out of your Bursting Balloons, I don’t think Eco Arm is worth the space. If your opponent isn’t OHKO’ing you, you’re very likely to win any matchup. With your consistent damage output and disruption potential, and maybe even some Giant Water Shurikens, I don’t fear any deck that doesn’t hit me for a consistent 130–170+. You’re unlikely to hit 4 Bursting Balloon in each of your first 4 turns, then the Eco Arm, then hit 2 of the 3 remaining Balloons for the last 2 turns. I think it is better to devote your deck space to stopping your opponent from attacking or getting OHKOs than it is to potentially deal some more damage. Does Faded Town actually help? Why not play Rough Seas? The problem is that most of the Mega decks (Gardevoir, Rayquaza, Mewtwo) can all OHKO you. Faded Town bounces their Stadiums which, in the case of Gardevoir and Rayquaza, stop them from knocking out a Greninja BREAK, and in Mewtwo it stops them from using Damage Change or either end of Parallel City, both of which can hurt you. It also puts an enormous amount of pressure on them. They now have to dig for another Stadium, potentially deterring them from using Lysandre to get around Bursting Balloon or Splash Energy. Against Rayquaza and Gardevoir, you’re going to be using Shadow Stitching a lot of the time, further hampering their chances to get rid of your Faded Town. It also helps your math in a lot of scenarios. 40 from Shadow Stitching, 60 from Giant Water Shuriken, 60 from Bursting Balloon, and 40 from another Shadow Stitching won’t knock out a Rayquaza or a Gardevoir, but a single turn of Faded Town at any point will clean up that KO. Against Mewtwo, 80 from Moonlight Slash, 60 from Bursting Balloon, 60 from a Moonlight Slash where you want a Splash Energy to stay attached, and 20 from Faded Town gets a KO. It just gives you more options with your attacks and doesn’t force you to do 80 + 80 + 60 to get all of your KOs on Megas. It’s also useful against Scizor because you can force them to decide to either discard your Splash Energy or the Faded Town. The reasoning against Rough Seas is basically just that I don’t care about anything that doesn’t OKHO me. Few decks in the format that don’t OHKO a Greninja BREAK give you any trouble. The only scenario where I’d want Rough Seas is against a Yveltal with a Fury Belt that does 70 with Evil Ball and then 100 with a Y Cyclone to conserve an Energy before getting KO’d. That’s a relatively common occurrence but that’s likely going to be happening early in the game where I want to give up Prizes anyways so my N and Ace Trainer are at their full power. Rough Seas could also force them to commit another Energy to a Yveltal if they do 90 with an Evil Ball against my Greninja with Splash, needing to do 110 on the next turn to get the KO. However, I think there are better techs for the Yveltal matchup as I outlined above and the utility of Faded Town is too good in multiple matchups for me to want to cut it. Do you think Pokémon Ranger is necessary for the mirror? If both players are playing Rough Seas, then absolutely. In that case, the game usually ends with someone eventually decking out, or potentially an unfinished game for a tie. However, with Faded Town, you can stop the constant stream of healing and eventually knock out your opponent’s Pokémon. You have enough damage output and options that I don’t think Ranger is strictly necessary, especially since it doesn’t help many other matchups. My plan for the mirror would be to go first, use Water Duplicates first, use Moonlight Slash to OHKO a Frogadier, and then use Shadow Stitching for the rest of the game. From here, you can pick and choose when to let your Pokémon get knocked out to activate Splash Energy or your Ace Trainer. Your hope is to stick your opponent with a dead hand and overwhelm them from there. If you go second, you still have a chance because of Ace Trainer. Let them take the first knockout, then hit them with an Ace Trainer and Shadow Stitching. If they whiff a Greninja BREAK, you can even start taking risks like using Moonlight Slash to pile the damage onto their board without fear of Giant Water Shuriken. Even if they hit a BREAK, 60 damage can usually be accepted without much consequence, and you can go back to using Shadow Stitching again. You just have to predict what your opponent will be able to do on their turn. 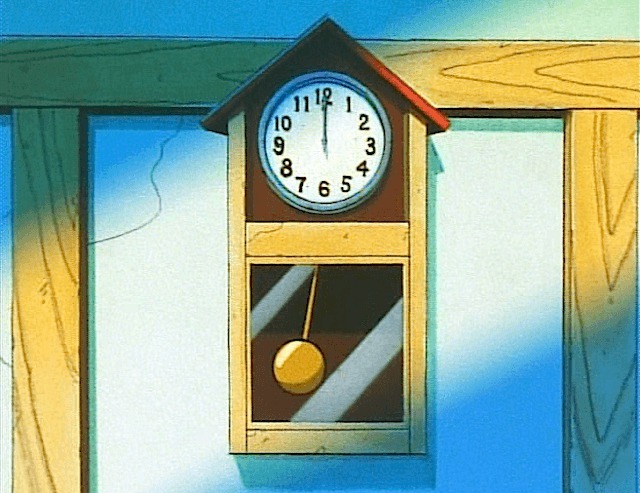 Also, don’t ignore Froakie’s Bubble as a last-ditch effort to stop them from using Shadow Stitching. If you have any other questions about Greninja, my list, or any matchups, please feel free to comment in the forums. I’d be happy to explain anything. Greninja has been an underrated deck in the Standard format and I think it will surprise some people in London. 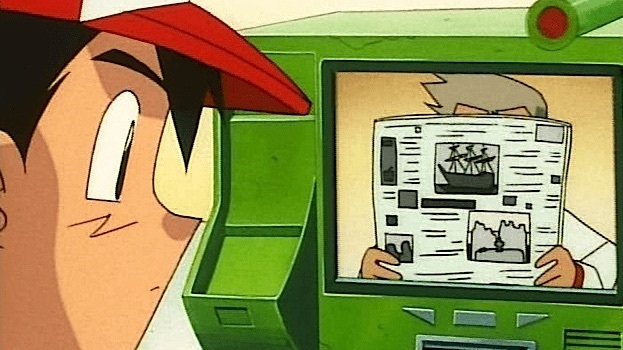 Professor Oak is all about the tabloids. Jimmy Pendarvis is on a tear right now. After a Top 16 finish at US Nats, he chose not to attend Worlds due to the timing of a large Hearthstone tournament. He finished in the Top 16 at Orlando and now has his first Regionals win under his belt. Many players don’t know of him but he has racked up a lot of major accomplishments. In the last few years, Jimmy has also gotten Top 16 at Worlds 2015 and finished in the Top 8 of many States and Regionals. Don’t be surprised to see a strong performance from him in London. After really favoring Rainbow Road in the early weeks of the new Standard format, I found it to be pretty inconsistent and underwhelming. Since then, however, it has won a large European Regional and had several strong finishes in American Regionals including multiple Top 32 finishes and Caleb Gedemer’s 4th place in Fort Wayne. One of the more convincing arguments to play the deck is the fact that Ross Cawthon chose to play it at Fort Wayne. Ross is a player who I really respect and pay attention to. When he decides to play a deck for a major tournament or an extended period of time at Cities, there’s a solid reason for it. Watch out for this deck in London. I’m not sure that I’d still favor Night March if I were going to San Jose. Trevenant and Raikou/Eelektrik are seeing a lot of talk on social networks right now, and both are unfavorable for Night March. Honestly, I would actually predict around 25% of the field in San Jose will be Trevenant decks. If you found a deck that beat both Yveltal and Trevenant, I think it could make Top 32 on that merit alone. This weekend will be one of the first times that a large amount of North American players have made the trek to Europe for a major tournament. The rivalry between continents has led to some friendly (and sometimes not so friendly) trash talk in recent years. Expect to see a lot of patriotism on display this weekend, especially if you check out the stream! Speaking of the stream, it’ll be on twitch.tv/pokemon and pokemon.com/live. The full schedule for both TCG and VGC can be found here. The commentary crew features some great European players and the production value will be really high. I’ve been a bit annoyed at the lack of an official stream to promote and show off the new Regionals this season, but hopefully the stream for this weekend’s International Championships will make up for that. A lot of players have expressed disdain at the 500 CP barrier to qualify for Worlds this year. However, I think it is an appropriate number. With a BFL of 8 for Regionals, and an overall increase to Regionals points at every placement, it should be easier to get an invite this year than it was in 2014 when we had 230 Masters competing. League Cups are finally getting scheduled and will provide more opportunities for Championship Points than City Championships have in the past. This year will require a lot of travel to earn an invitation to Worlds, but I do not think that you can stay in your immediate region for the whole year and also prove yourself to be one of the best players in the World. If the points required to be invited to Worlds were lower, a mediocre player would be able to make it just by travelling to a lot of tournaments. If you take the lowest possible CP payout from 8 Regionals (8 * 16 = 128), 4 Internationals (40 * 4 = 160), 2 League Challenges for Q1 (I’ll assume Top 4 so 2 * 10 = 20), and 6 League Cups for Q2 through Q4 (20 * 6 = 120), you have a total of 428 CP. This would be incredibly expensive, but with even a barrier of 400 CP, there is even some room for error for a player who never even makes Day 2 at a major event to be invited to Worlds. Pokémon had to hit a balance between rewarding the truly skilled players and giving out invites for those who can afford to travel and I believe they struck that balance fairly well. In the case that Pokémon and myself are both mistaken on the amount of players that will earn Worlds invitations this year, there is precedent to show that they are willing to adjust things. When Pokémon books the event space for Worlds, they want it to feel full, thus they try to invite a perfect number of players to achieve that feeling. An empty-feeling room for Worlds would not be a good look for Pokémon as a company nor as a competitive TCG. Thus, if they think they will have too few players, they will find a way to invite more. In both 2013 and 2014 there were special “Last Chance for Championship Points” events at US Nationals where 5–10+ players earned invitations each year. As the 2014 season started, Dave Schwimmer posted on the PokéGym forums explaining that they had thought about potentially lowering the CP bar if they thought the invite quantities were too low. Simply put, don’t worry yet about Worlds being too small or exclusive. Thank you all for reading! I’m really excited for the next few months of Pokémon. I’ll be attending the London International Championships as well as Regionals in Dallas and Athens. I’m feeling really good about the Standard format — far more than I have in previous years. Hopefully it leads to a lot of great games of Pokémon! As always, I would love to talk to any of you, whether it’s in the forums with a question about my article or saying “Hey!” if we see each other at an event. Take care, and good luck with whatever events you get to attend this month!